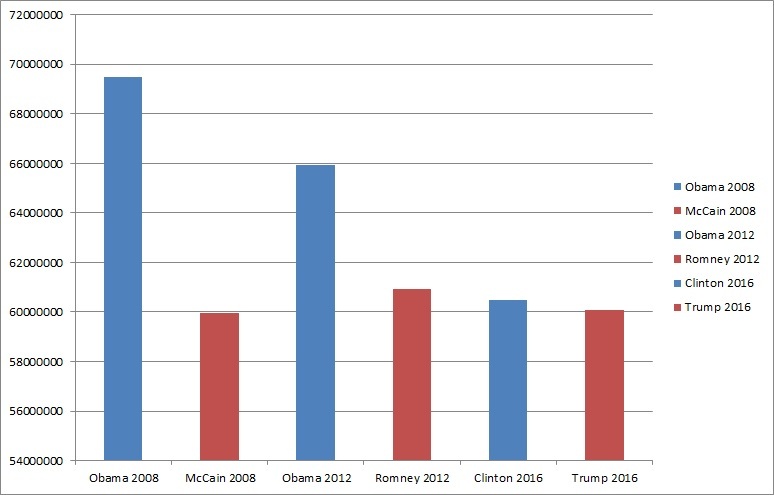 Why Clinton lost in one chart. The democrats just didn’t care who won. This entry was posted in Politics: National and tagged 2016 Election, Donald Trump, Hillary Clinton. Bookmark the permalink. Love it! it was less Trump winning and more Clinton losing. I love your system for making her irrelevant in a matter of hours, and for not rewarding her confidence scams. I know this is an old post, but it’s such a nice chart to come back to!